You are here: Home / Adopted Cats / Wyla – Adopted! 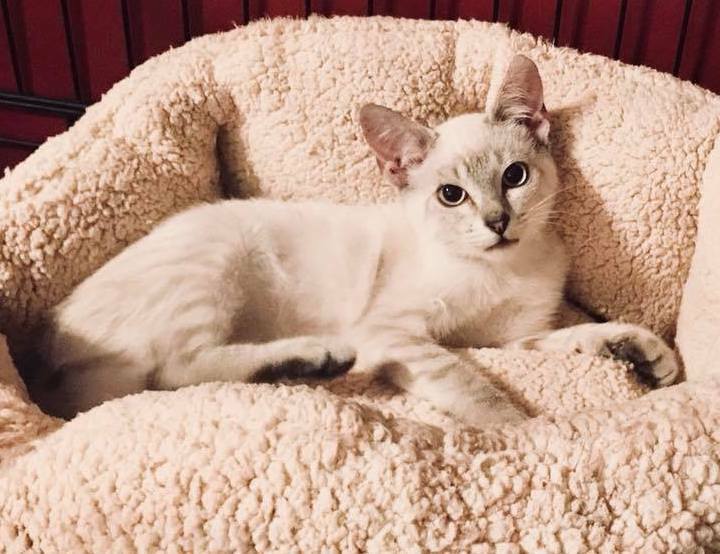 Much like Gracie Lou Freebush from the movie Miss Congeniality, Wyla Jean Quackenbush is quite the beauty queen – no doubt about it! 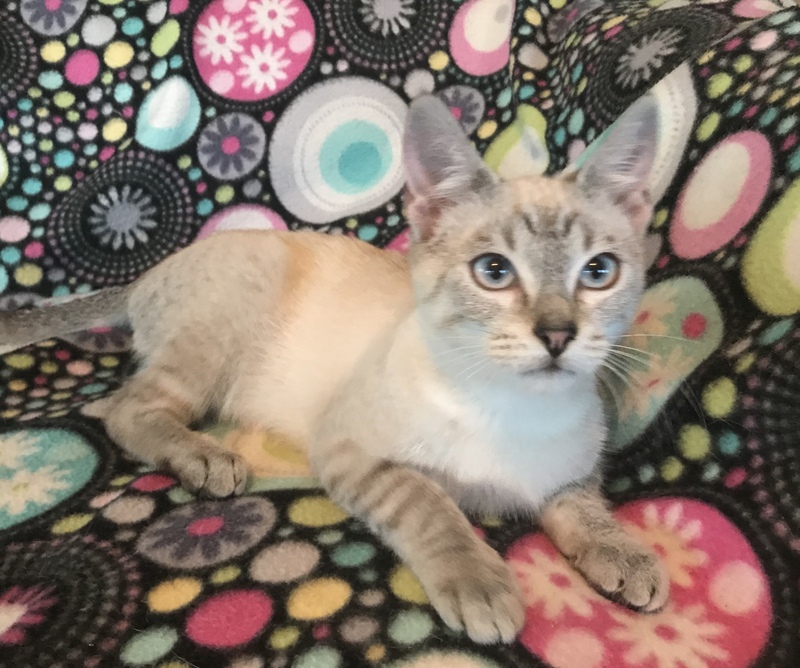 She may not be able to make beautiful music by running her paws around water glasses but she can definitely purr her way into your lap and bat her gorgeous baby blues in a way that will melt your heart. 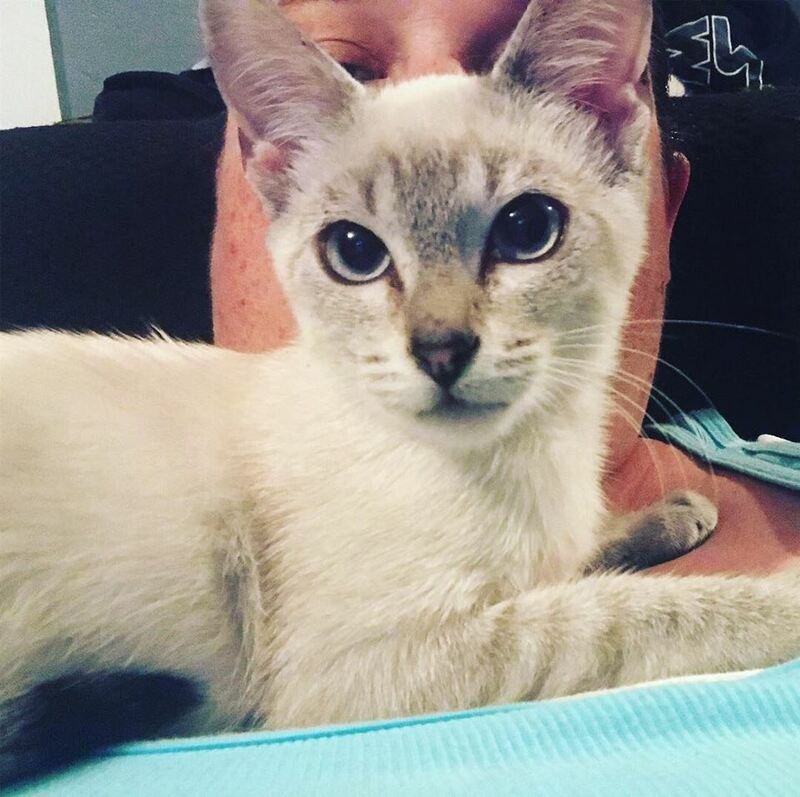 Wyla was rescued from Devore Shelter in late August, 2018, when she was just 2 months old. 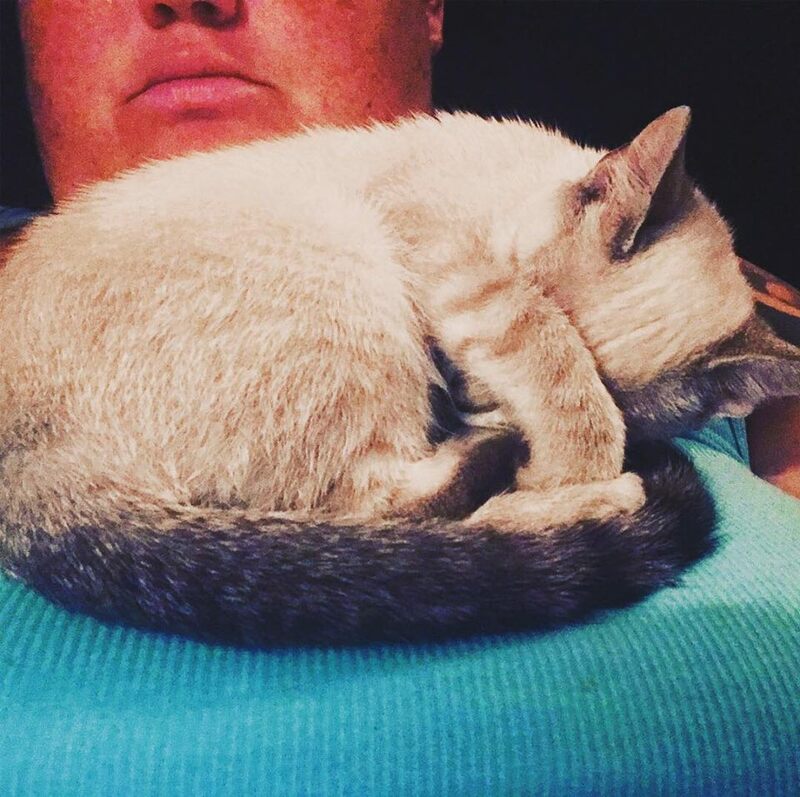 The shelter had labeled her RO – Rescue Only. That means they found her to be “behaviorally aggressive”. Umm… suuurrrre. She’s aggressive – with her love! 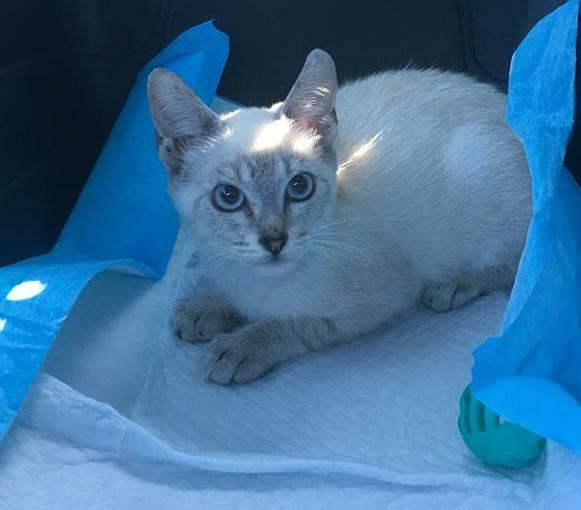 We have yet to find a mean bone in this adorable lilac point Siamese mix girl’s body. 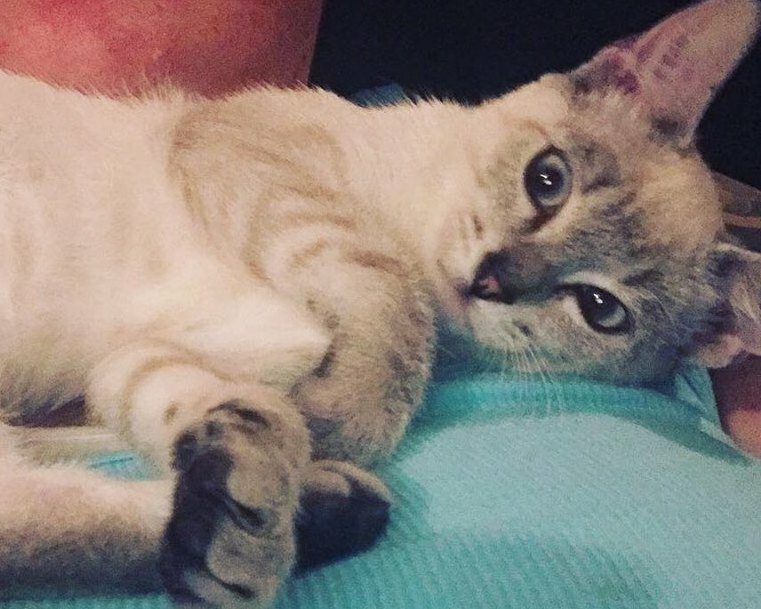 Wyla is playful, cuddly and quite a social butterfly. 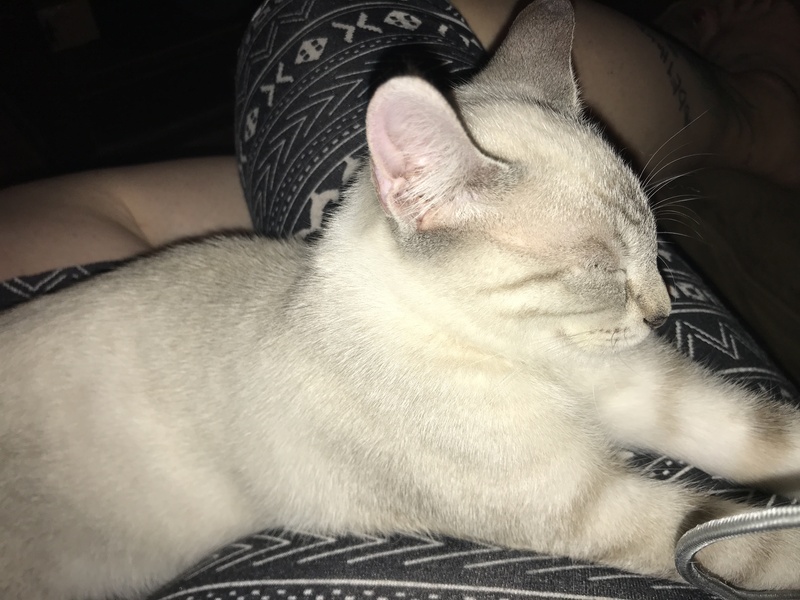 She loves other cats and would thrive in a home with another high energy kitty buddy. She can also captivate humans of all ages. And dogs? While she hasn’t been able to charm her doggy foster brother into cuddling with her yet, she hasn’t given up trying. Simply put, Wyla loves everyone! We can’t guarantee adopting Wyla will bring about world peace but we can say for certain that she will make your world a much brighter, livelier and joy-filled place. 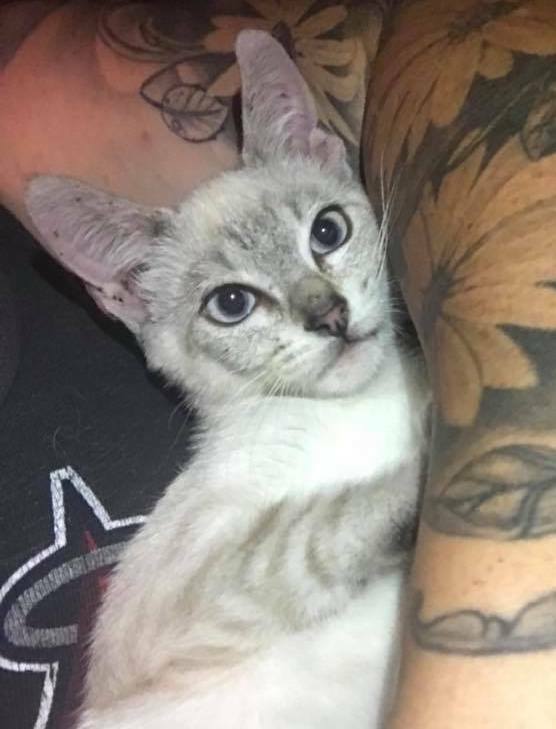 Wyla was adopted November 4, 2018!